Nordstrom Fashion Office Men’s Fashion Director Jorge Valls gives his picks for the best and brightest from the red carpet at last night’s Tony Awards. We tend to gloss over at the sight of red carpets, but these candid, backstage polaroids—shot by photographer Lucas Michael at Sunday night’s Golden Globe Awards, using a Warhol-era instant camera—capture stars looking like real people. Well-dressed, attractive, hilarious real people, but still. While Paul Rudd, above left, definitely took home the night’s prize for best botched dialog, his bow tie comes off as a little stiff. We’ll award best-dressed to the incomparable Oscar winner Daniel Day-Lewis, whose floppy bow carries far more character—and gives an appropriate nod to 19th-century presidential style. Check out more of our favorites below (click images to enlarge)—and view the rest at New York Magazine’s Vulture.com. Christoph Waltz. Buzz cut x thick rims—digging the Trainspotting vibe. Julianne Moore. What can we say, we’re suckers for freckles. Ben Affleck. Brash peak lapels are befitting an actor turned very serious director. Adam Driver. Went from clearly psychotic to strangely sane on HBO’s Girls. Morena Baccarin & Morgan Saylor. Damian Lewis’ TV fam deserves props for putting up with him. 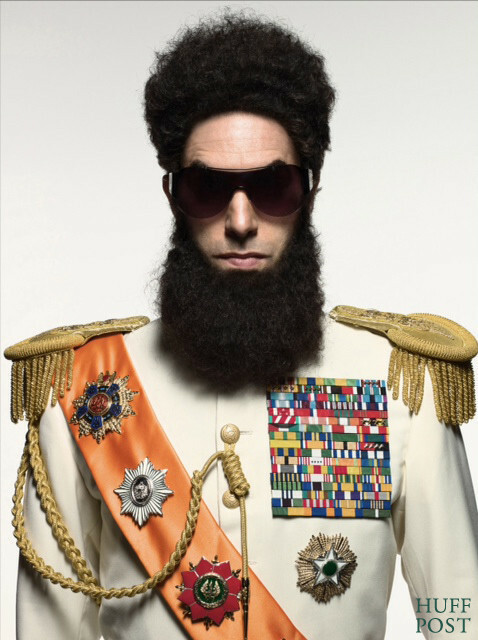 Sacha Baron Cohen. Polka dots and a 4 o’clock (not 5 o’clock) shadow add chutzpah to his tux. Bryan Cranston. Killer goatee. But what, no Pinkman? Jennifer Lawrence. Date-night alert: Silver Linings Playbook is a rom-com you won’t hate. Quentin Tarantino. The man still has a way with words—and a knack for memorable soundtracks.